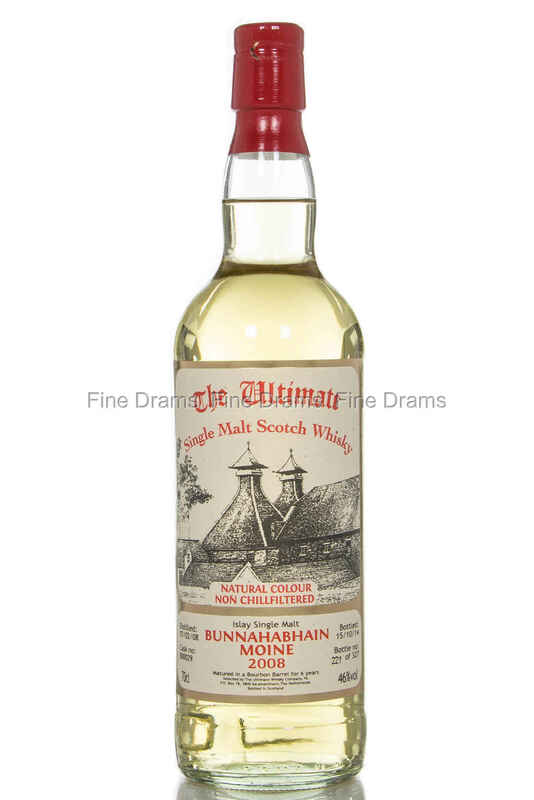 A 6 year old peated Bunnahabhain, matured entirely in a single bourbon barrel (cask no. 800029). It was distilled on the 7th of February, 2008, and bottled on the 15th of September, 2014, by The Ultimate Whisky Company.